Ripping and tearing paper is a super-fun way to strengthen finger and hand muscles. 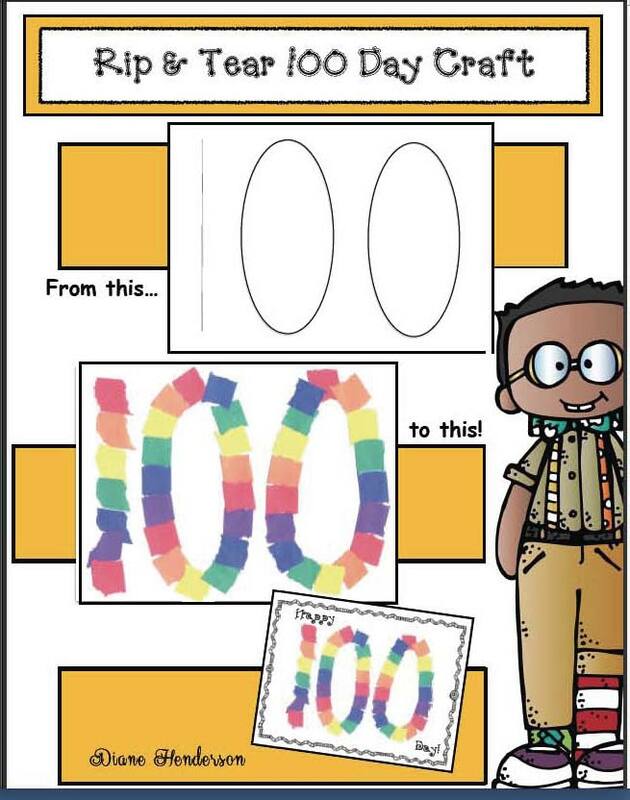 For a simple and quick 100 Day activity, simply run off the 100 pattern. I’ve included a full page size, as well as a smaller, two-on-a-page template. 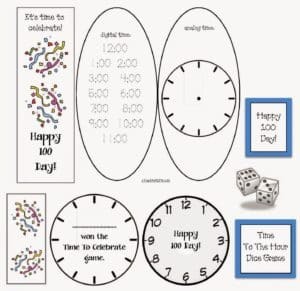 For the larger 100, cut a variety of colors, of 1-inch wide strips, using a paper cutter. I make 1/2 inch strips for the smaller pattern. Children can choose two colors and make an ABAB pattern, or 3 colors for an ABC pattern. I chose a rainbow pattern. 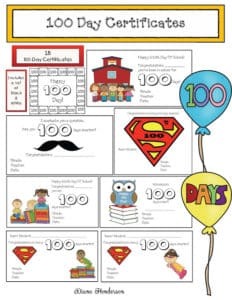 Older students can attach a 100 Day writing prompt to the bottom. Completed projects make a lovely 100 Day bulletin board. 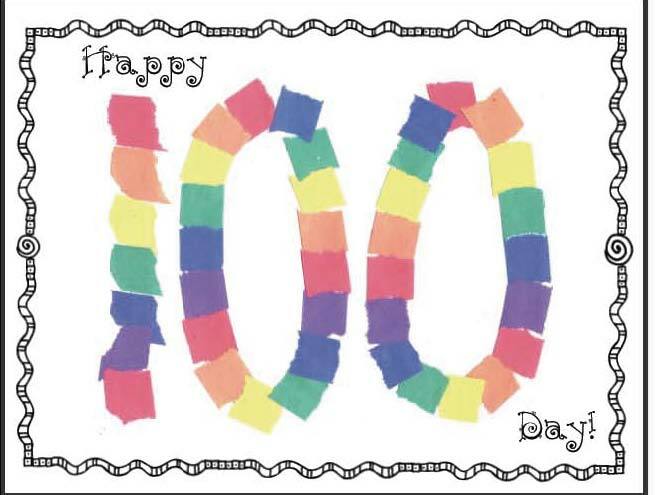 I’ve also included a “Happy 100 Day” poster for the center of your display. Click on the link to zip on over where the 100 Day Rip & Tear Craft is today’s featured FREEBIE.